Is this HTC's new flagship Android phone? A press image of what appears to be HTC's latest flagship Android phone has been leaked on Twitter account @evleaks. 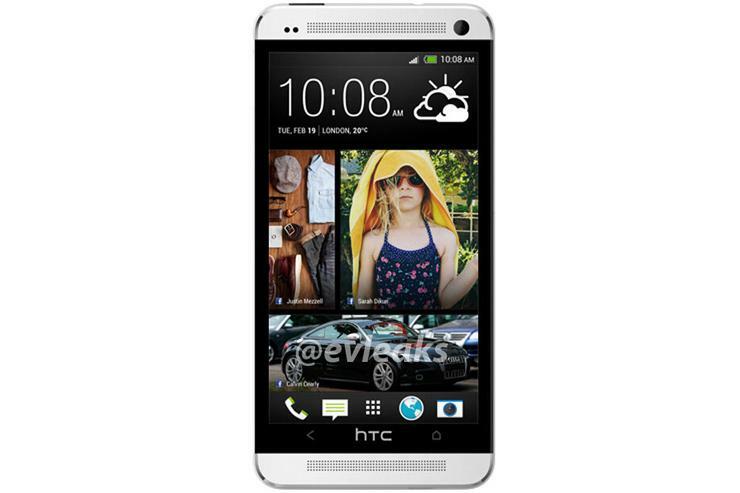 Previously rumoured to be called the M7, the leaked device is now being referred to as the HTC One. The evleaks Twitter account, which has a solid track record when it comes to publishing correct rumours, suggests that the handset will simply be branded "HTC One". The leaked press image of the device shows a large device with what appears to be a strange button layout. The phone pictured has a back button on the left and a home button on the right, flanked by a rather large HTC logo. 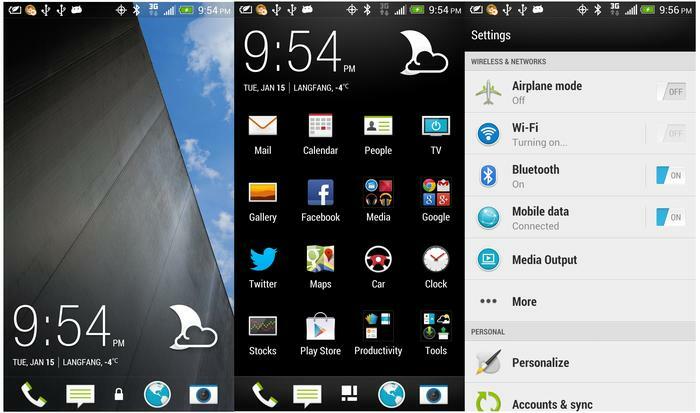 The absence of a multitasking button, a traditional feature of HTC Android phones, is striking. The phone appears to have a two-tone colour scheme, with a black bezel surrounding the screen and a white piece on both the top and bottom edges. Both pieces could house a speaker — the company published an infographic last week suggesting it will "kick off a new sound and camera experience in 2013." The bottom of the rumoured HTC One device does appear to look slightly angled. An angular design wouldn't be a first for the company, which used a similar design on its Legend Android phone back in 2010. The HTC One (codenamed M7) is expected to feature a 4.7in full HD display and is likely to come with the latest version of the company's Sense user interface, version 5.0. HTC will hold a press event in New York on Tuesday 19 February where it is expected to unveil the HTC One. The event is scheduled a few days before the Mobile World Congress (MWC) 2013 event in Barcelona, Spain. MWC is the world's largest mobile trade show and traditionally sees most major mobile manufacturers release new smartphones.